Quentin Tarantino’s next movie was all set to be The Hateful Eight. However, the ensemble western is no longer on the cards for the director after he learned yesterday that the script for the movie has leaked, despite only being given to only a handful of people. While it’s not unusual for Tarantino’s scripts to be dissected online by movie bloggers, he tells Deadline that he can’t believe it happened so early, especially when he had just started talking to Harvey Weinstein about how they were going to make it. “I’m very, very depressed. I finished a script, a first draft, and I didn’t mean to shoot it until next winter, a year from now. 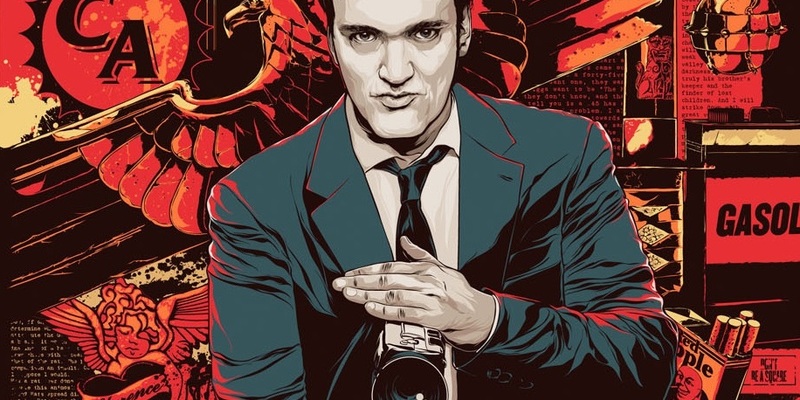 I gave it to six people, and apparently it’s gotten out today.” Tarantino discovered this when his agent contact the director to tell him that he was getting phone calls from other agents looking to pitch their clients for roles in the movie. So, who’s the guilty party? Tarantino believe the leak came from CAA, the agency that represents Dern. While they have denied this, there’s actually no way of uncovering the truth as the screenplay wasn’t dispersed with watermarks which could identify where it originated from. The Django Unchained director is obviously furious, and now plans to shelve the project indefinitely. However, Tarantino still has another script he’s been working on and now plans to prioritise that one instead. Having spoken out about this leak, he hopes that it will mean actors and agents are more careful in future. Earlier month, it was reported that Christoph Waltz was one of those lucky enough to have been given a script, but the director clarified that it was actually Michael Madsen, star of Reservoir Dogs, who received it along with Pulp Fiction’s Tim Roth.